My daughter and I are addicted to homemade playdough: Playing with it, cutting it, rolling it, but especially making it. 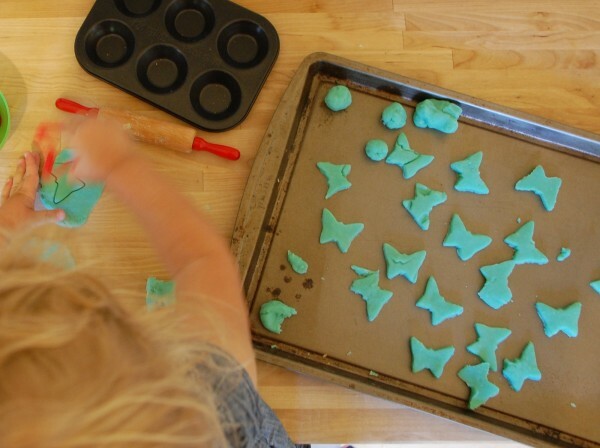 Today I’m excited to share a recipe for how to make playdough. 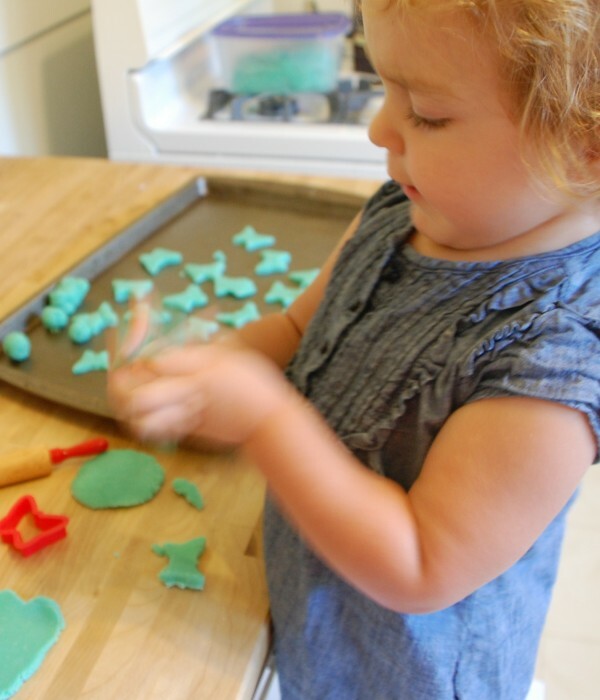 Playdough is an excellent material for exploring a pliable 3-D media, and it has the potential to help a child exercise fine motor skills and develop their creative mind through play acting such as making cookies and tacos! When my daughter was 16 months we bought our first batch of play dough at Whole Foods. It was awesome. And expensive. And when the whole family came down with what felt like the swine flu just days after playing with the stuff, I knew I had to throw out the whole sad lot with the tissues and hand wipes. It was painful to fork out more money for another round of dough, and then a friend asked why I wasn’t just making my own. Right. Excellent question. I was an art teacher, and why had I never made play dough? Slightly embarrassed, I knew I had to set off and find a great recipe. 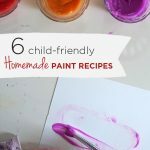 If you look around for play dough recipes you’ll find recipes that include everything from cornstarch to Kool Aid to peanut butter, but the one I’m sharing here is for the really good, traditional stuff. 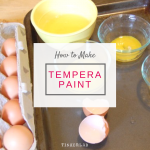 The recipe comes from First Art: Art Experiences for Toddlers and Twos (affiliate) and it’s the only one I’ve used. Do let me know if you have one that trumps it, but I’ll stand by the quality of this dough. The book, by the way, is fabulous, and I recommend it highly to anyone searching for excellent art activity ideas for little ones. This will make enough dough for an entire preschool class. I usually make 1/2 the recipe and it’s still plenty! For two colors, divide the recipe in half. Combine the water, salt, cream of tartar and food coloring in a large saucepan on a low heat, and stir with a wooden spoon. As the mixture heats up, stir in the oil and then the flour. Mix, until the dough comes away from the edges of the pan, starts looking dry, and it becomes difficult to move the spoon. Pinch a piece between two fingers…if it’s not sticky it’s done. Remove from heat. Cool until it can be handled. Place on counter and knead 3-4 times. Store in an air tight container or large Ziplock bag and it should last for weeks. 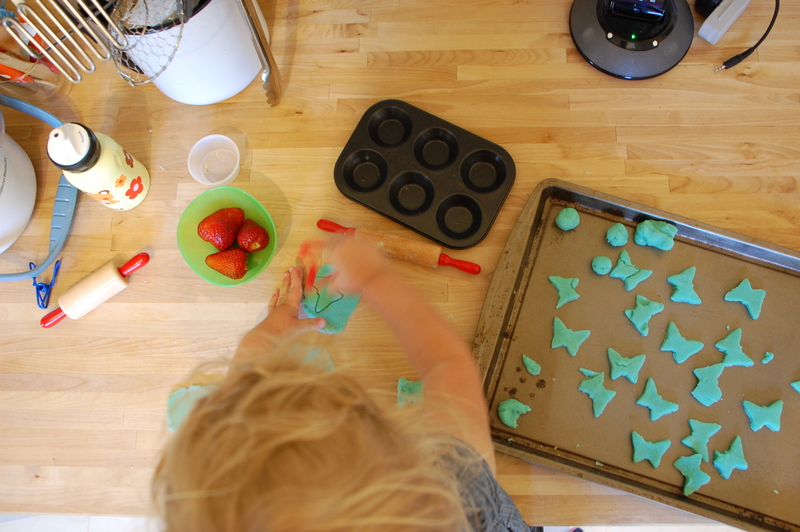 Seriously, the best playdough you’ll ever make and well worth the effort. Are you looking for ideas for playdough tools? This post and this post are helpful starting places. 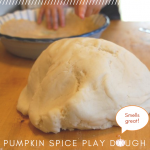 Add a new scent to your playdough such as pumpkin pie. 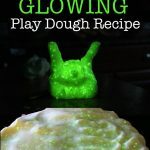 If you want to make glow in the dark playdough, you’ll love this recipe. Want to get creative? 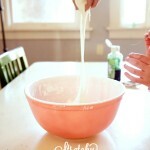 Click here and learn how to make masa playdough! I actually really enjoyed the part on “The possibilities are truly endless”. I wish you had included it on your website. I went back to my email to read it again! A light went on in my head and reminded me that we had received the Melissa kit as a gift and I just took it out to try your ideas. Thanks again for the inspiration! 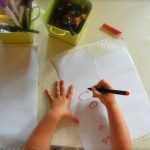 I am so pleased to see your post about making your own playdough and your super recommendation to use the book, First Art: Art Experiences for Toddlers and Twos. I’m so glad you like it. One of my favorite parts of the book are the little stories that are tossed in here and there about real kids doing real art. And that’s what this is all about … ART (not copying any adult and making “crafties”). Thank you again for honoring me with your post. 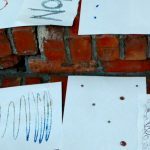 And I hope you will invite your readers to drop by my new blog and also my website, both with lots of free art ideas and other surprises. I love your blog! Keep inspiring people to let their kids create freely. I’m honored to see you here on my little blog! Thanks for your post — such fabulous kudos coming from you will surely keep me going. Your book is such an inspiration; whenever we’re stumped for fresh ideas I refer to First Art and I think of it as my toddler art bible. And, I know that in just a few short months I’ll add Preschool Art to my library. Your blog is fantastic, and I can’t wait for us to dig into some room weaving installation art. We just built a little teepee in the backyard with a plan to wrap it in string, and a room weaving activity will be a natural extension of that. I’m also grateful to have brightring on my radar, and will certainly be sharing these links with my readers.